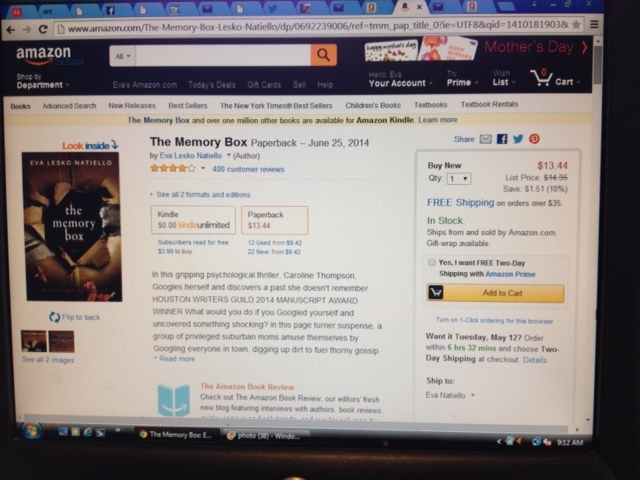 400th Review for THE MEMORY BOX on Amazon and a Giveaway! Just received the 400th review for my psychological thriller, THE MEMORY BOX (about a woman who Googles herself and discovers the shocking details of a past she doesn’t remember) on Amazon! And it was a goodie! Thank you Mtngrannie wherever (whoever) you are! It’s time for me to share some love right back atcha. 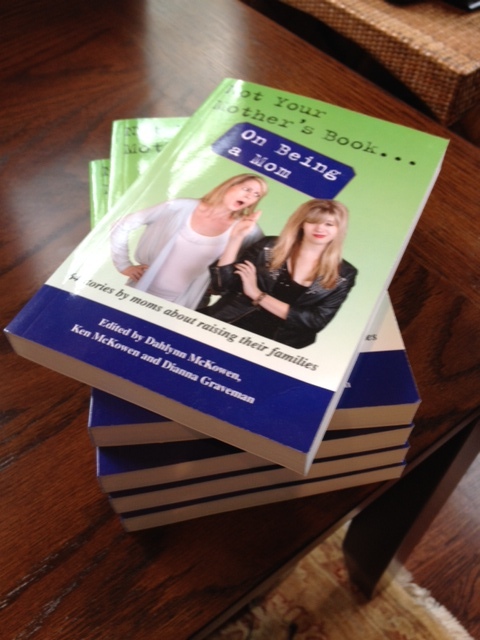 Since today is Mother’s Day, I’m going to give away 5 signed copies of Not Your Mother’s Book On Being a Mom & Not Your Mother’s Book On Family. My story, Where Did I Go Wrong? was anthologized is this book of funny, poignant, sweet, irreverent stories about motherhood. For those of you familiar with my essays on parenting, it is chock full of insecurity and blunders, so you should not be disappointed. I WILL CHOOSE 5 PEOPLE WHO SHARE THIS POST. (Choosing the winners will be at random while wearing a blindfold as my kids spin me around in my desk chair). If you share this post, you will multiply your chances of winning a signed copy by 87.3%. Whoa. Right? That’s what my calculations tell me. However, I don’t know for sure, actually. But I do know you can’t win it, unless you’re in it. P.S. I should mention that I am also giving away a signed copy of THE MEMORY BOX on Goodreads, so get yourself over there to enter! Good luck everyone! Check out this book, it sounds good and I’m looking forward to finding it and reading it soon. The author is also giving away five signed copies of another book for five random people that share her post.